Last year, shapeshifting Japanese psych outfit Acid Mothers Temple spent the spring touring North America. In 2015, history will repeat itself when they travel around our continent for a month this April and May. 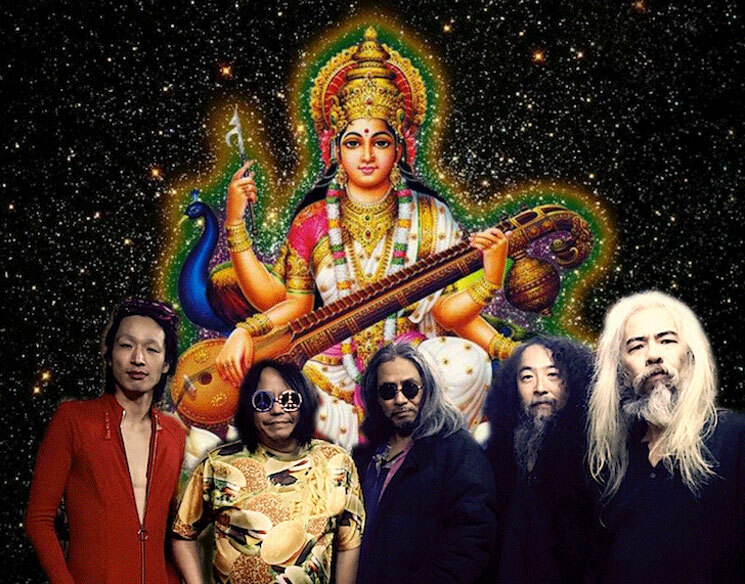 Of course, Acid Mothers Temple have many offshoots and configurations, and just like last year, this tour will feature the most prominent of those variants: Acid Mothers Temple & the Melting Paraiso U.F.O. Much of the month-long trek is based in the U.S., but there are also stops in Canada's three largest cities. Acid Mothers Temple will play Vancouver on April 21, Toronto on May 1 and Montreal the day after that. This is dubbed the "Cosmo Saraswati Tour 2015." See the schedule below. Acid Mothers Temple recently reissued the 2006 album Have You Seen the Other Side of the Sky?, and while it's already sold out from Nod and Smile Records, the label indicates that it's still available from various retailers.